Paco’s Stardust design has the organic curves of the Milky Way and all the sparkle to match. 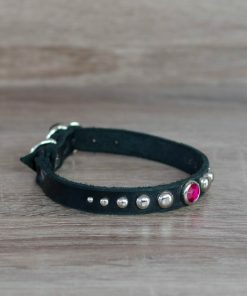 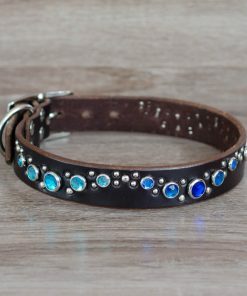 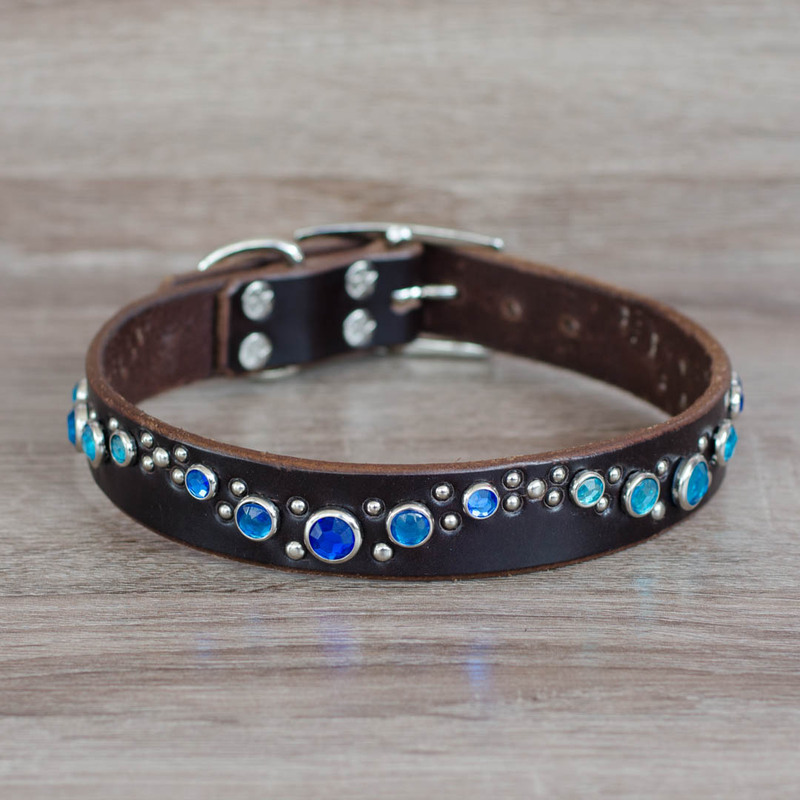 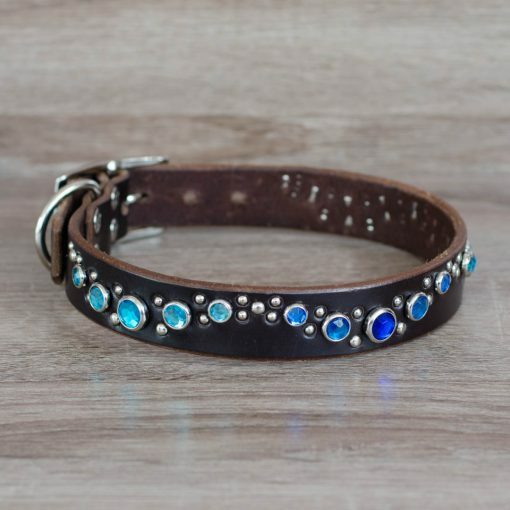 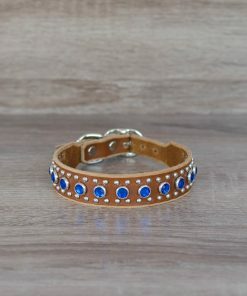 A celestial combination of rhinestones, studs, and artistic magic makes each Stardust collar a unique showpiece for your furry friend. 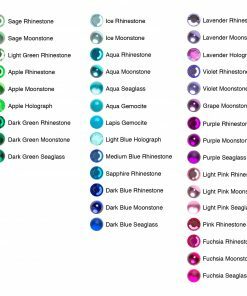 The 1″ version is — you guessed it! 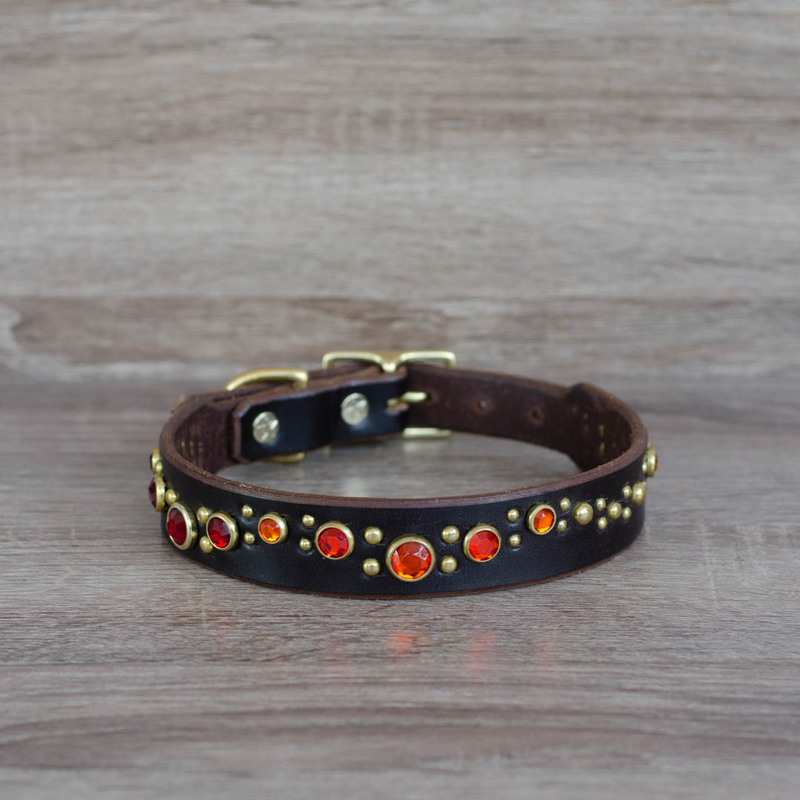 — 1″ wide. 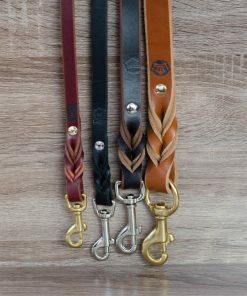 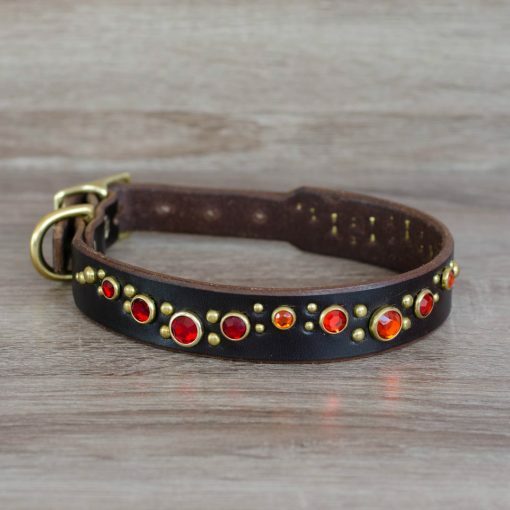 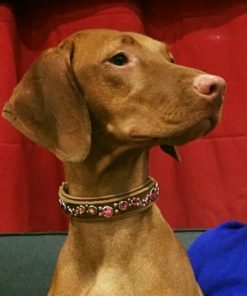 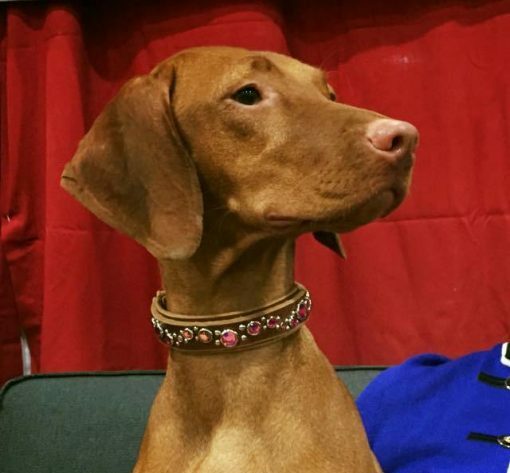 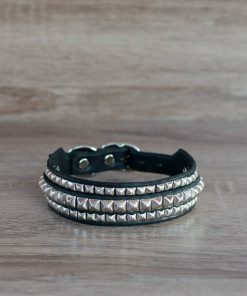 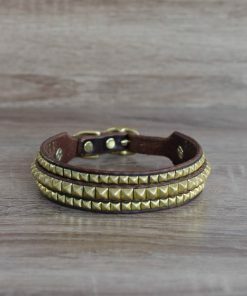 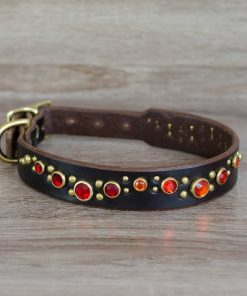 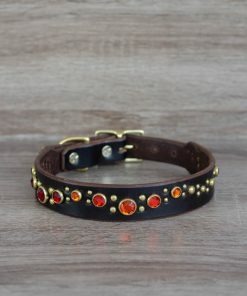 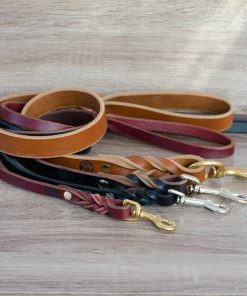 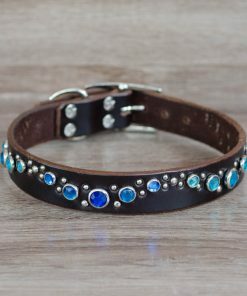 This collar looks best with multiple colors of rhinestones, usually ones in the same color family. 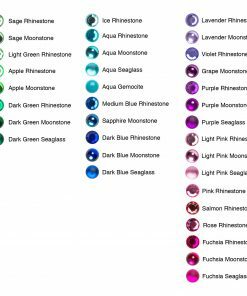 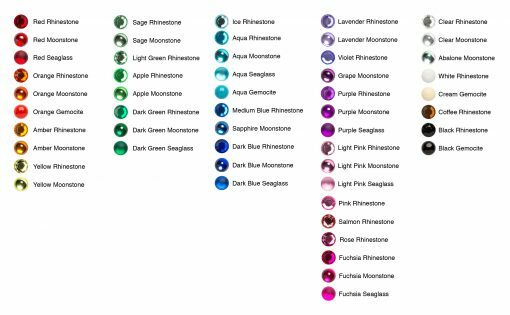 If there is a specific combination of stones that you’d prefer, please let us know precisely in the notes section upon checkout. 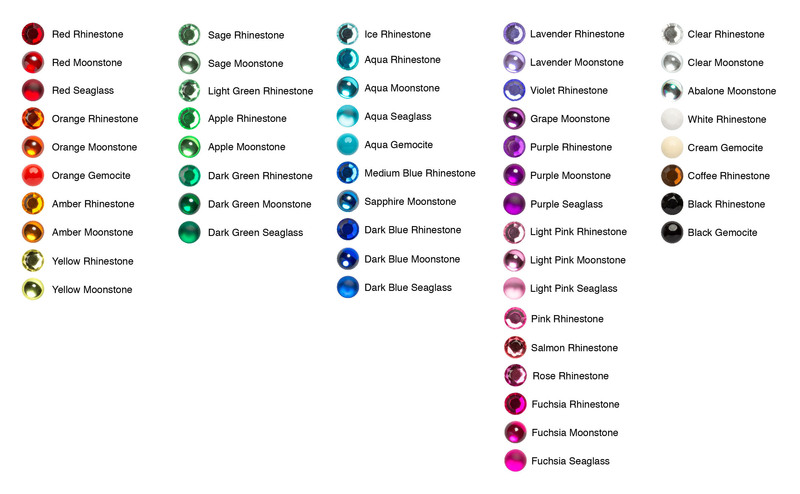 Otherwise, trust that we will pick a pleasing combination based on your preferences!